Speaking at Herzliya Conference, former PM blasts Netanyahu, says his leadership has run its course. Former Prime Minister and Defense Minister Ehud Barak on Thursday called for unity among center-left parties and organizations in order to bring about the downfall of Prime Minister Binyamin Netanyahu. “Netanyahu’s leadership, pessimistic, passive, fearful, and victimizing has run its course. A leadership that brings division and incitement has slid on a dark nationalistic slope, filled with fear-mongering. We must not allow the destruction of the Zionist project. History will not forgive us if we are unable to stop this reincarnation of blind Jewish zealousness...Only a collaborative organization that would put in its center a young leadership, strong and filled with values, and rally around it the best forces within and without the political system will bring a meaningful change the towards which Israel marches,” he added. “The citizens of Israel repeatedly support Prime Minister Netanyahu, who fortifies the country's security, assures its future and brings it to economic prosperity and political prosperity that we have not known since the establishment of the state. No nonsense from Barak will distort this reality,” the Likud added. 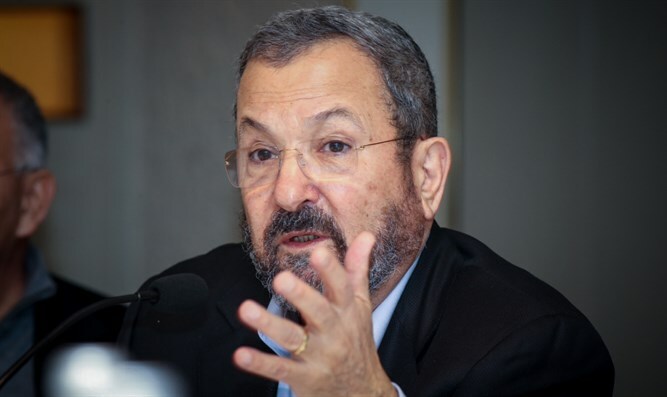 Barak, who then served as Netanyahu’s Defense Minister, left the Labor party in 2011 in order to form the Independence party. It is unclear whether he still has political aspirations, though recent reports indicated that he had tried – unsuccessfully – to convince other candidates withdraw from the race for the Labor leadership and support him.